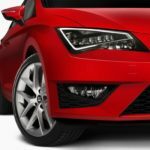 With a plethora of brands worldwide, the Volkswagen Group has become a modern version of classic General Motors. Globally there are eight brands under the VW umbrella – Audi, VW, Porsche, Seat, Lamborghini, Bugatti, Skoda and Bentley. 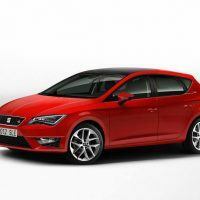 Seat has been hasn’t got as much attention or development dollars as the rest of VW’s brands. For instance with the Exeo, Seat received a repurposed previous generation Audi A4. The idea isn’t half bad, but VW has bigger plans for Seat’s future. Lately, there has been signs of more investment. 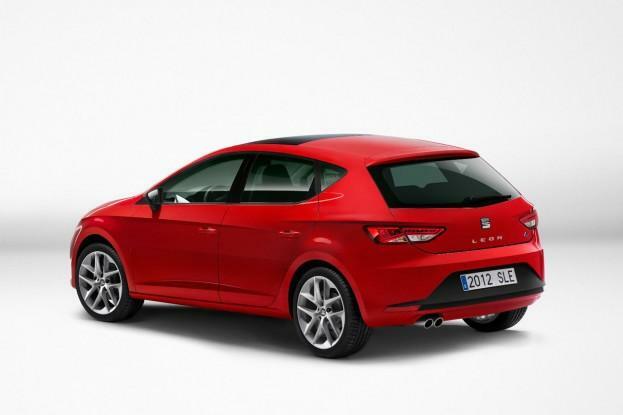 That brings us to the new Leon, arguably Seat’s best offering yet. 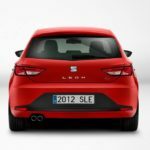 As far as hatchbacks go, the Leon ranks up there as one of the most stylish. 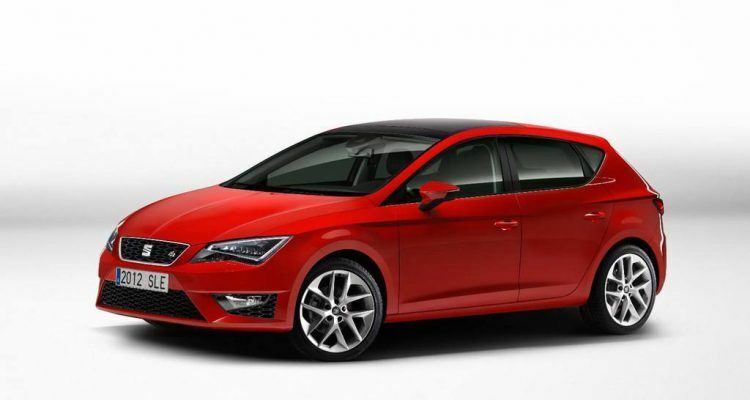 The model debuts new styling details for Seat, such as a refashioned logo and polygonal LED headlight graphic. There’s an effort to establish a bit more of an identity for Seat as a brand. It is still very Audi, but we’re sure that is intentional. 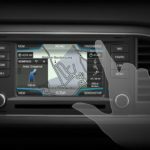 VW’s design has never been about offering much differentiation, much to the chagrin of those of us in the automotive industry. 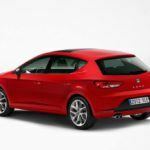 Out back, there are hints of Alfa Romeo style – another brand VW has feverishly worked to try to bring under its umbrella. The cabin is a nice place to spend time, with a driver-focused environment. There is little in the way of clutter; it is more minimalist than most modern interiors. And, with it’s two-tier structure, it works to stand out from Audi’s interiors. A plethora of engines will be available (two at launch, a startling seven in total), but the one we’re interested in is the 181-horsepower 2.0-liter TDI four-cylinder. 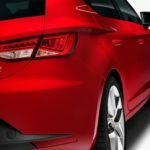 Unfortunately, the Leon won’t be offered in the U.S. In the past there have been some rumors about VW looking to bring the brand to our shores. 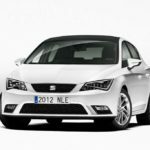 Lately those have died out though as a U.S-centric, heavy volume emphasis has been placed on the VW brand. 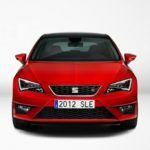 2 Comments on "2013 Seat Leon Impresses, You Can’t Have It"
You are mistaken: you wrote “Mostly, the Spanish brand has gotten repurposed previous generation Audis” something that is not true. 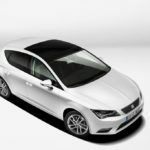 All Seat models derive from the latest gen VW group platforms and technologies, with the exception of a sole model (Seat Exeo) which dereved from a previous gen Audi. The Exeo has been a unique case in order to rapidly launch a sedan for Seat. There is no other case than that one,and the next gen Exeo is expected to be a unique Seat design developed by Seat in-house. It’s interesting how they did that with the Exeo, giving mainstream buyers a previous generation luxury product. 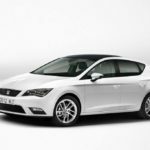 Looking forward to checking out the Seat-developed model.